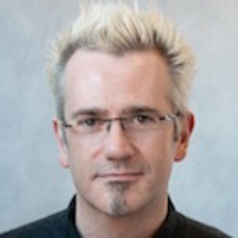 Dr Damian Murphy is Reader in Audio and Music Technology, and deputy head of the AudioLab, Department of Electronics, University of York, where he has been a member of academic staff since 2000. His research focuses on virtual acoustics, spatial audio, physical modelling, and audio signal processing. He has been principal investigator on a number of related AHRC and EPSRC funded projects relating to room acoustics simulation and auralisation, and published over 90 journal articles, conference papers and books in the area. He is a member of the Audio Engineering Society, a Fellow of the Higher Education Academy, and a visiting lecturer to the Department of Speech, Music and Hearing at KTH, Stockholm, where he specialises in spatial audio and acoustics. He has also held visiting researcher status at a number of universities internationally. Dr Murphy is an active sound artist and in 2004 was appointed as one of the UK's first AHRC/ACE Arts and Science Research Fellows, investigating the compositional and aesthetic aspects of sound spatialisation, acoustic modelling techniques and the acoustics of heritage spaces. His work has been presented in galleries nationally and at festivals and venues internationally and included varied collaborations with writers, photographers, interactive digital artists. He is a founding member of Geodesic Arts through which most of his more recent work has been produced.